The report found that 30.4 per cent of all students have abnormal BMI while 19.1 per cent were found to be overweight, with a significant jump in the percentage of students in the category, that is from 16 per cent in pre-primary to 23 per cent in primary and up to 26 per cent in higher secondary. 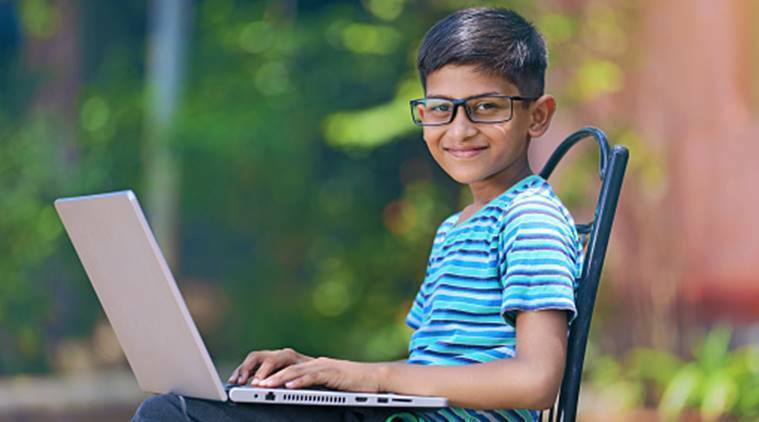 About 25.5 per cent of school children in India, between two to 17 years of age, have been found to have abnormal vision, as per a recent school health screening survey. Conducted by Jarma Wellness, the survey titled Enhancing the Effectiveness and Impact of Schools: Insights from School Health Screening Program, covered over 1,76,240 children from 40 K-12 Schools and 300 pre-primary centers, belonging to different socioeconomic backgrounds across cities including Ludhiana, Mathura, Renukoot, Jaipur, Patna, Kolkata / Howrah, Raipur, Sambalpur, Mumbai Metropolitan Region (Mumbai, Navi-Mumbai, Panvel, Thane, Kalyan etc), Pune, Surat, Ahmedabad, Bharuch, Nagpur, Bangalore, Mysore, Chennai, Hyderabad, Coimbatore and Mangalore. The number of children with uncorrected myopia/ hyperopia and wearing glasses touched nearly 50 per cent in higher-secondary section indicating that potentially one in every two children may need glasses, as per the survey. Again, one in every three children wear glasses but still face vision difficulties indicating lack of periodic screening after initial evaluation. The report also found 30.4 per cent of all students to have abnormal BMI (body mass index) while 19.1 per cent were found to be overweight. A significant jump was recorded in the percentage of students in the obese category, that is from 16 per cent in pre-primary to 23 per cent in primary and up to 26 per cent in higher secondary. “Our hypothesis is that when children are young, they are much more active and their diet is controlled by the parents. But as they grow older, you start seeing a lot of changes in diet with more junk food consumption along with a drop in the level of physical activities. The second reason is the rapid increase in digital usage. We discussed this a lot in schools,” Nimish Thacker, co-founder, Jarma Wellness, told Express Parenting. In government schools or those supported by NGOs, 17 per cent children were found to be underweight compared to 10 per cent children in other schools. Besides, 50.3 per cent of all students were found to have dental health issues, with 26.8 per cent of students having cavity. As part of the programme, the organisation is also conducting awareness sessions with parents and advising them on child nutrition, health and hygiene, added Dr Akshay Shah, co-founder, Jarma Wellness. “There was a suggestion in my child’s report to see an ophthalmologist as he was suspected to have short-sightedness during the screening programme. We took him to an ophthalmologist who diagnosed him with partial blindness. A corrective surgery was recommended; we did that surgery and now with spectacles he can see things much better than before,” a parent from Pune said. Apart from parents, certain schools have also started taking measures to ensure students are healthy. “There is one school in south Mumbai which asked us for suggestions on the kind of food they should provide at the cafetaria. Some other schools are also trying to optimally use the space available to provide more opportunities to students for physical activities. We have also seen some parents enrolling their child into sports classes. Having said that, the focus continues to remain more on academics than anything else,” informed Thacker. 1. As the vision in pediatric age group changes frequently, parents should take their child for regular vision check-up. 2. Regular dental check-up even if there is no complaint from the child of toothache is recommended. 3. 13 per cent of students from Segment A schools with higher socio-economic background and 20 per cent of students from segment B schools with lower socio-economic background were found to have poor hygiene, as per the study. Poor hygiene can cause mild to serious illness and hence, keeping a check on this by parents is recommended. Parents should inculcate the habit of proper hand washing and trimming of nails, for instance, to avoid hygiene related health issues. 4. Eating a plate full of food is considered good but parents should give attention on the nutritional value of the food and not quantity. 5. Preventive health screening at the school level can do wonders and parents should consider the health screening report as seriously as academic reports. Also the follow-up action that is recommended should be considered of utmost importance to avoid future complications.